In an apparent effort to best the Metropolis-themed postcard packed in with the last Futurama movie, the newest, Bender’s Game, included four. They’re pretty cool, as far as free little tchotchkes go. But I’ll never mail them and would probably eventually just lose them, so I figured I’d scan and post them here. Bonus points for the Morbo-a-the-Mars Attacks aliens one. 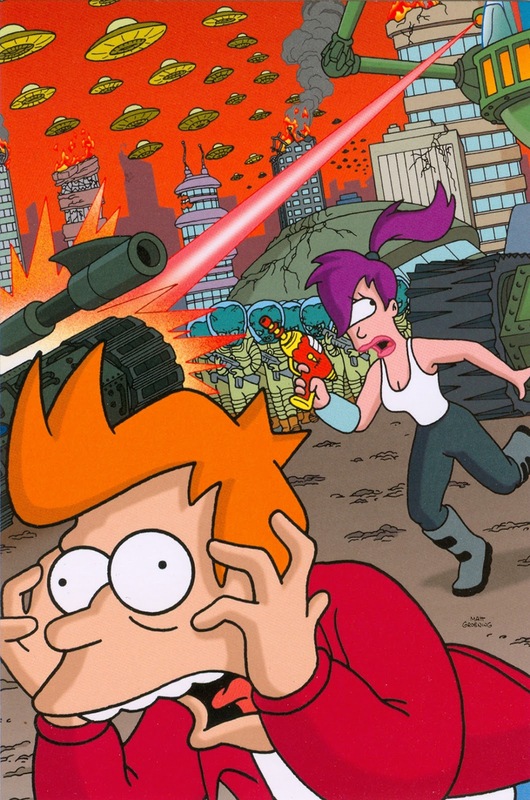 Also: Am I the only person who had never heard of Futurama’s Number 9 Man? The R.U.R. reference is pretty sweet too. I only found out about Number 9 recently as well. Batalla: Weird, right? 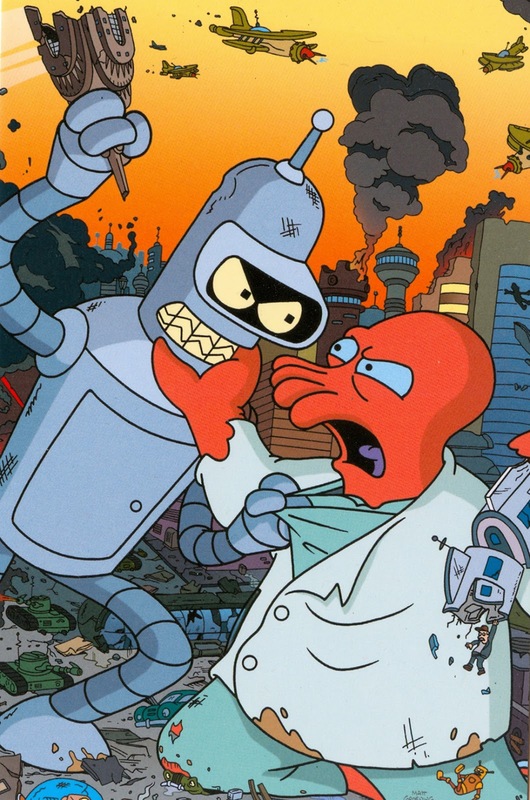 I've been reading about Futurama online for years and have never heard anything about him. MC: Is this a direct reference to the episode that dealt with malfunctioning robots? 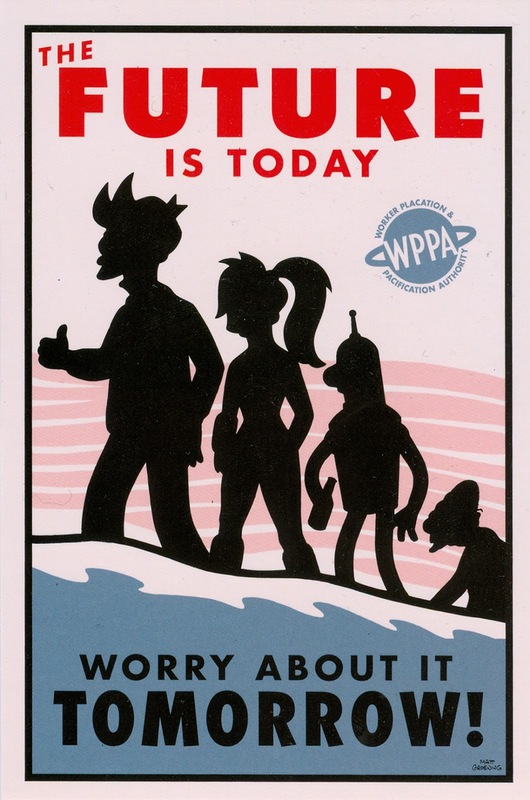 Or is it something outside the Futurama universe? Anonymous: You say the eight-year-old girl needs the money for a kidney patient? Is the girl doing the surgery herself? I've heard them point the #9 Man in commentaries, but I never noticed him on my own. I think he was supposed to be a leftover from when the writers were considering a caste system for the future, or something like that. R.U.R. 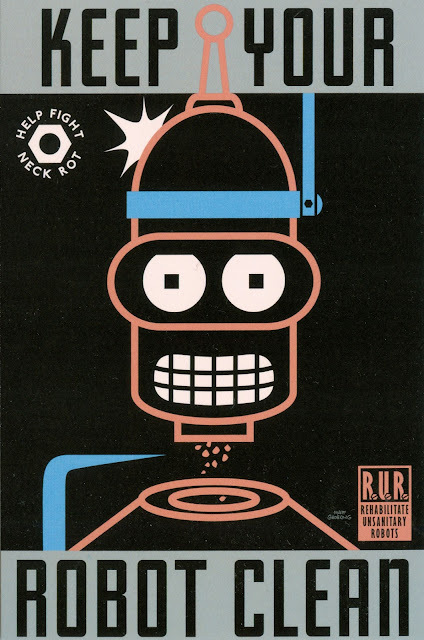 was a play by Karel Capek which introduced the word Robot and features a robot rebellion that destroys humanity.